Just to be clear here: I don’t personally run tours of Scotland, and never intend to. I have no commercial or financial connection with any such tours, either. I do know people who do run tours there, though, and several of them (over the years) have asked whether I would mind them putting together and advertising special tours based on locations in the OUTLANDER novels. This is courteous of them—after all, I couldn’t stop them doing that if they liked—and I’ve heard good things about all of these tour operators from people who’ve been on their tours. Since people do often write to me, wanting to know where they should go in Scotland, I thought it might be helpful to add a section here featuring these tour operators (I haven’t met all of them personally, but have at least talked with all of them by email, and have, as a I say, heard from people who’ve taken their tours and been very pleased). I’ve asked tour operators I know personally to send me any descriptive material, photos, links, etc. that they like, which are below, and I’ve also included a few other suggested links. Now, once in awhile, if I’ve been in Scotland at the time a tour was taking place, and if things worked out conveniently, a tour operator has now and then invited me to come and have dinner with the group. This is always nice when it happens, but it’s very rare and certainly not a regular thing, and as I say above, I don’t have any sort of personal connection with any of these tours or their operators. Nor do I have any commercial or financial connections. P.S. : To companies and individuals who offer Outlander-based tours not listed here… please do not write to me or my Webmistress requesting that you or your company be listed here. As stated above, neither I nor my staff have time to list them or check references. Thank you! Information on visiting historical places featured in Diana’s books such as Inverness, Loch Ness, Culloden Battlefield, etc. A map is featured which shows where different Outlander points of interest are. 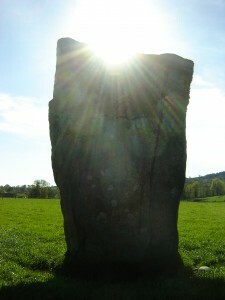 Claire’s stone circle is fictional, and the stone that Catriona Balfe touched in the TV show to travel in time was manufactured and located in an in indoor set. 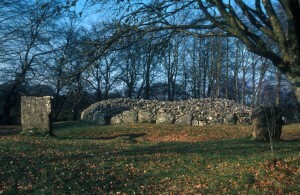 However, you can learn about real ancient standing-stones which dot the Scottish countryside on this website and other tours. Alastair Cunningham has been running Clans and Castles tours nearly as long as I’ve had a web page; he wrote to me in the mid-90′s, asking whether I objected to his creating an Outlander-based tour, and if not, whether I’d be willing to put a link to it on my web page. At the time, I replied yes and no, respectively—because I was happy for him to do such a tour, but didn’t want there to be a perception that I specifically endorsed any tour, or had personal connection with one, and (knowing the way people’s minds work) was pretty sure that if I listed one tour, it would instantly be perceived as “my” tour, no matter what I said about it. Now there are a number of reputable OUTLANDER-based tours, so that’s less a concern. Alastair noted several years ago: “We have been running these tours for eight years and they have been gradually adapted to reflect the priorities of ‘Outlander Tourists’ over the years. 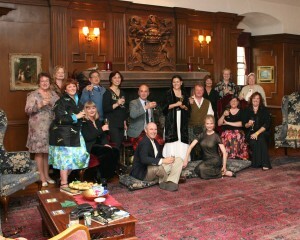 Doug and I met with Alastair’s Outlander tour group summer before last at Stuart Castle (see image at upper right). Hugh works with Inverness Tours. Celtic Journeys is run by Judy Lowstuter. 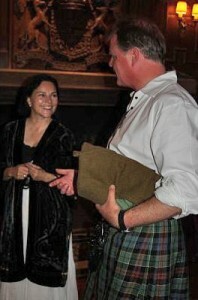 In 2018 she celebrated the fifteenth year of her Outlander tours. 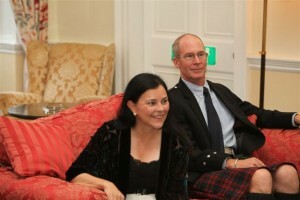 My husband and I were fortunate enough to be her guests at dinner with her tour group at Culloden House near Inverness in the summer of 2010 (image at right). Sam Schuler of Auto Europe tells me that his company has developed a helpful guide on the Scottish Highlands. Auto Europe “dedicates a lot of time to creating helpful guides” for their more popular locations in the U.K. Note that Auto Europe is an online car rental, hotel, and flight booking company, and is not actually running tours of the area, but Mr. Schuler says that their online guides are very helpful if you are planning travel on your own. 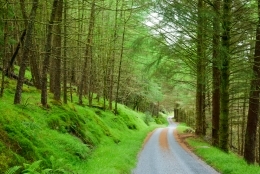 The Auto Europe Scottish Highlands Online Guide (link below) features comprehensive information on the Highlands and itineraries for anyone vacationing or taking a road trip through the area. Suggested routes, driving times, nearby airports, recommended accommodations, and historic information are included. This page was last updated by Diana’s Webmistress on Saturday, February 2, 2019 at 12:00 noon (PT).